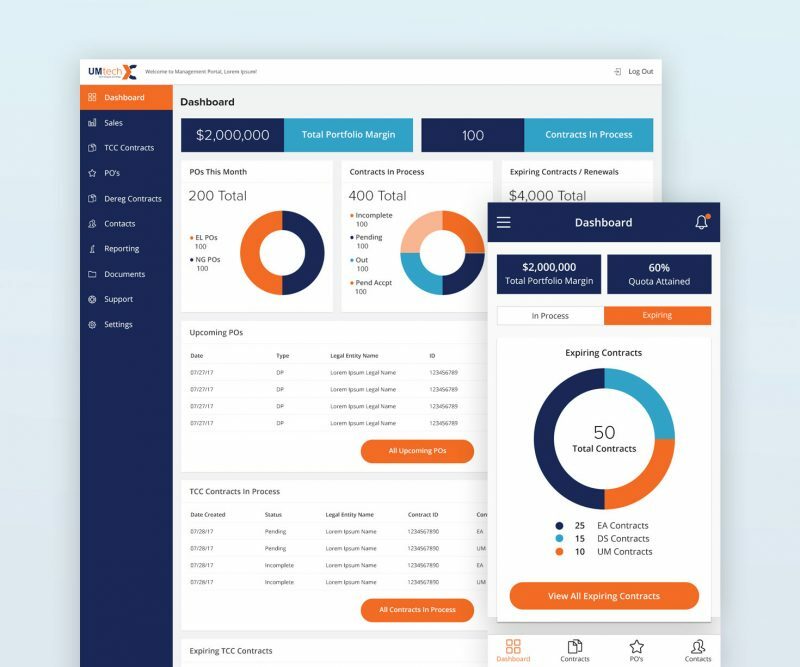 UM Technologies (UM Tech) is the industry leader in designing and building energy management software for brokers, suppliers, and their customers. The deregulated energy industry has historically been an unsophisticated black box that offers little insight into energy brokers and consumers. UM Tech was looking to raise the stakes for the entire industry by creating energy management software that would foster competition, transparency, and intelligence for the benefit of all parties. UM Tech designed an energy platform that automates and improves sales, contracting, pricing opportunities, utility tracking, and business intelligence. The platform includes the following applications. The Contract Management Portal (CMP) helps brokers manage sales and customer contracts. With the CMP, brokers can easily manage all pertinent business functions such as leads, contracts, and sales performance. 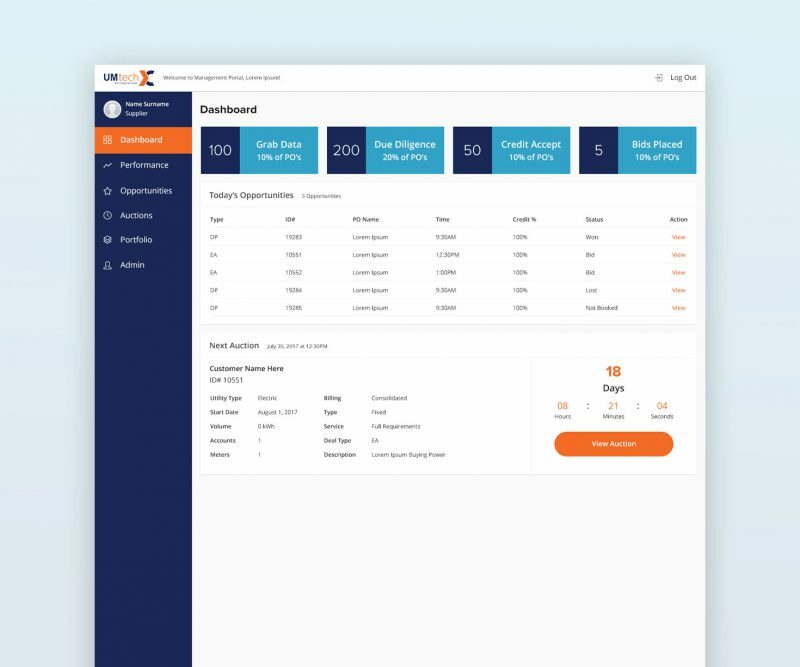 The Supplier Admin Portal (SAP) helps brokers manage pricing opportunities, executes contracts with suppliers on behalf of customers, and provides necessary documentation exchange so that brokers can assist suppliers in performing their due diligence with ease. EnergyAuctions (EA) is an open, transparent, and auditable reverse auction platform. It helps brokers easily understand how pricing will impact their customers’ budgets through real-time analysis of the bids. 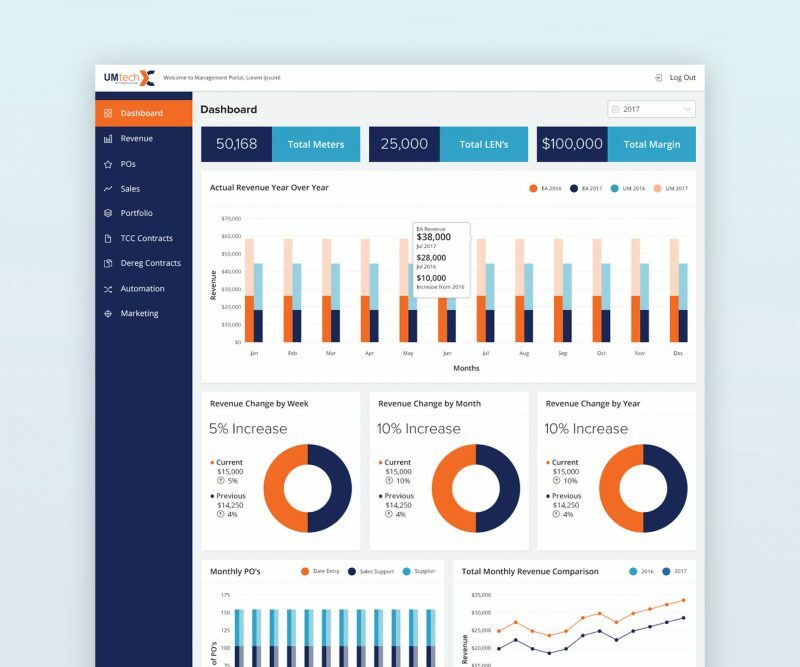 UtilityModule (UM) helps brokers empower their customers to make informed energy management decisions that improve their bottom line by offering utility tracking, budgeting, and contract management features. Business Intelligence Portal (BIP) supports brokers in managing all aspects of their businesses. 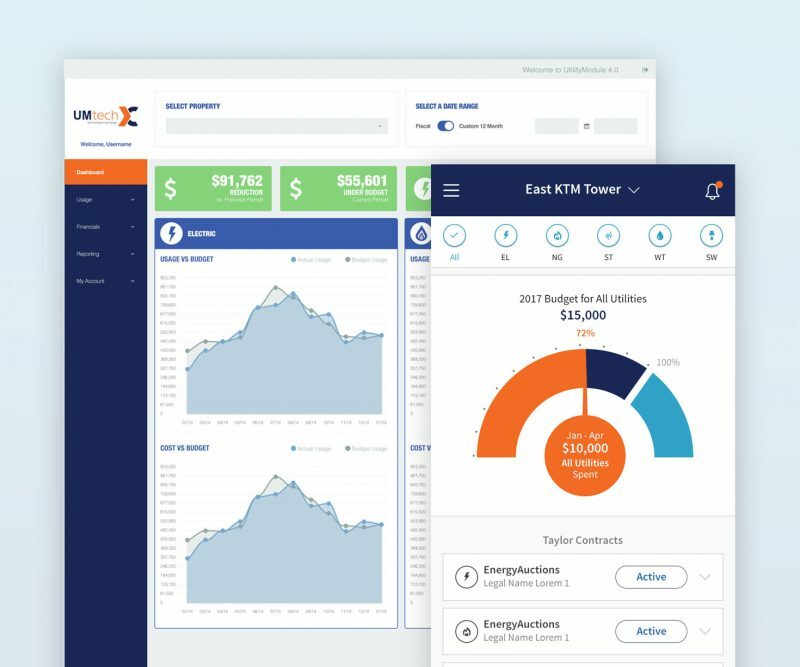 From portfolio management to sales performance, BIP is the ultimate data management and analysis tool for the energy brokerage industry. 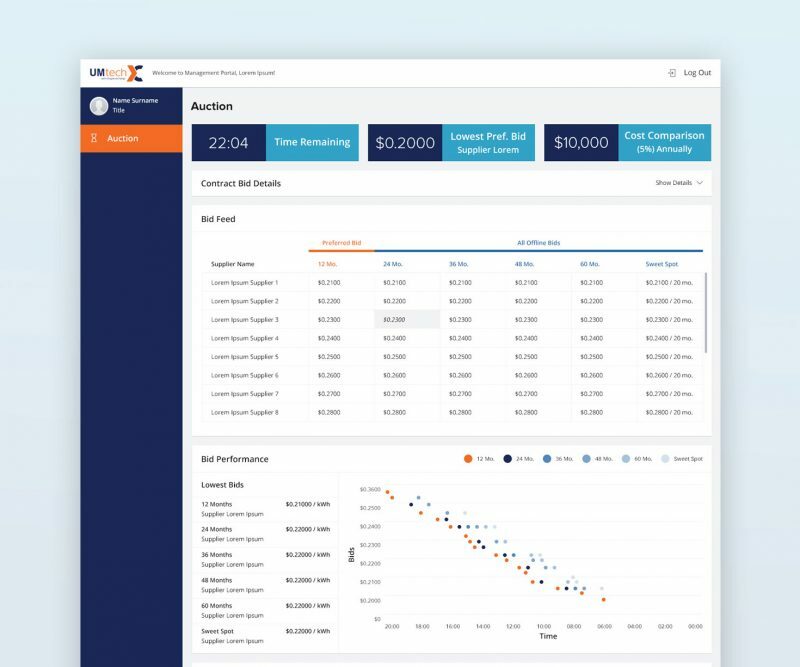 The UM tech energy platform has enabled energy brokers to automate and scale critical aspects of their business such as managing their leads, sales, contract, and pricing opportunities. In turn, energy suppliers had more pricing opportunities to easily bid, and data to understand how they were performing in the market. The net effect of this has resulted in competitive and transparent prices for energy consumers.